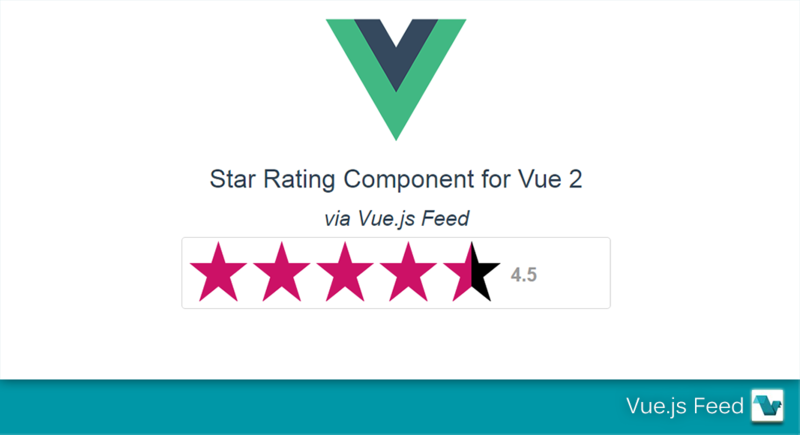 A simple, highly customizable star rating component for Vue 2.x. Import in you Vue project to give users rating abilities. SVG stars - scale without loss of quality. Details about props and more are available for usage. You can see a live example on JSFiddle. The plugin is available on GitHub.